The instant camera is a type of camera that generates a developed film image. The most popular types to use self-developing film were formerly made by Polaroid Corporation. Polaroid Corporation is an American-based international consumer electronics and eyewear company, originally founded in 1937 by Edwin H. Land. It is most famous for its instant film cameras, which reached the market in 1948, and continued to be the company’s flagship product line until the February 2008 decision to cease all production in favor of digital photography products. 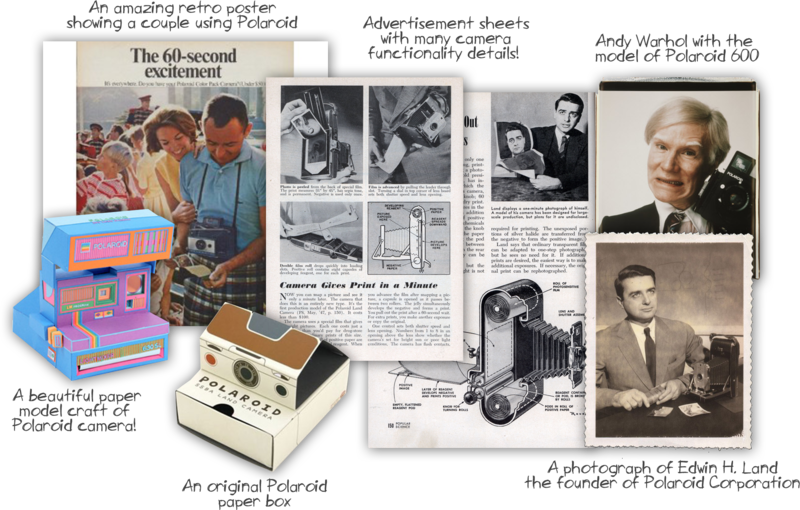 On November 27, 1948 the 1st Polaroid camera sold! Then the colossal story of this magnificent, human moment “recorder” began to reflect instantly upon billion small pieces of paper! 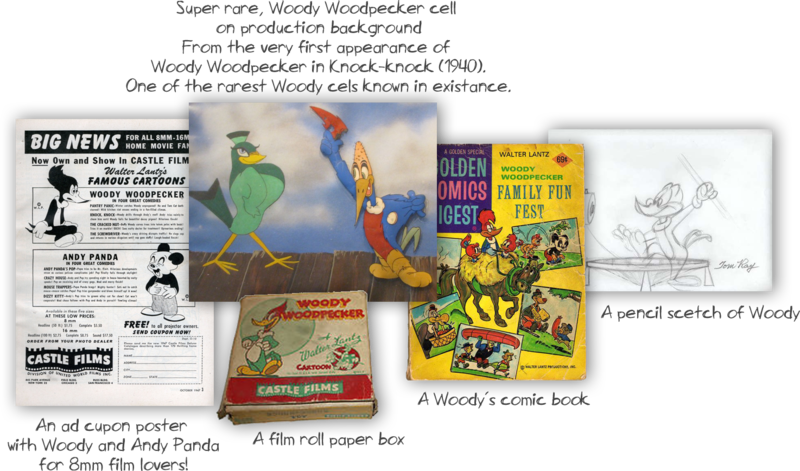 Lester Joseph Gillis was born on December 6, 1908. He was known under the pseudonym George Nelson and he was a bank robber and murderer in the 1930s. Gillis was better known as Baby Face Nelson, a name given to him due to his youthful look and his small stature. He was usually referred by criminal associates as “Jimmy”. 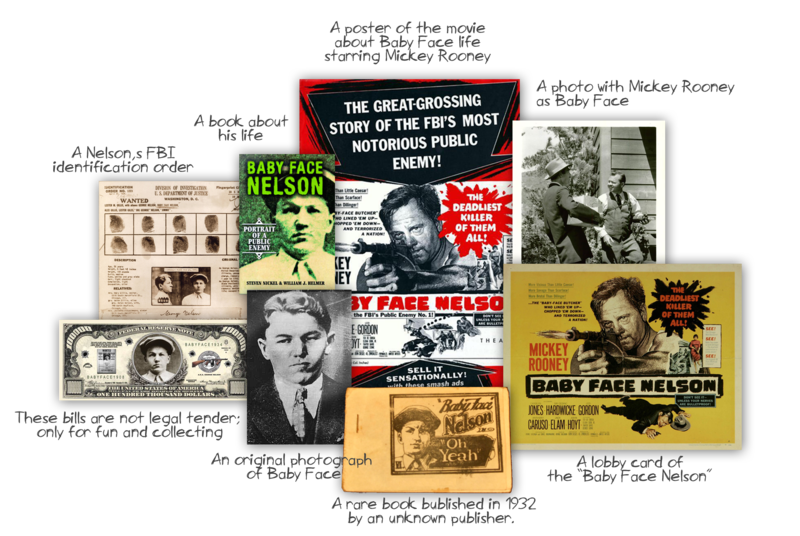 Nelson entered into a partnership with John Dillinger, helping him escape from prison in the famed Crown Point, Indiana Jail escape, and was later considered along with the remaining gang members as public enemy number one. Nelson was blamable for the murder of several people, and has the uncertain distinction of having killed more FBI agents in the line of duty than any other person. Nelson was shot by FBI agents and died after a shootout often called “The Battle of Barrington”. The Barrington gun battle exploded as Nelson, with Helen Gillis and John Paul Chase as passengers, drove a stolen V8 Ford South towards Chicago on State Highway 14. The date was November 27, 1934 in a street in Barrington outside of Chicago. Casablanca in New York City! Casablanca is a 1942 American romantic drama film directed by Michael Curtiz . The film stars Humphrey Bogart, Ingrid Bergman and Paul Henreid. Set during World War II, it focuses on a man torn between, in the words of one character, love and virtue. He must choose between his love for a woman and helping her Czech Resistance leader husband escape from the Vichy-controlled Moroccan city of Casablanca to continue his fight against the Nazis. Story editor Irene Diamond convinced producer Hal Wallis to purchase the film rights of the play in January 1942. Brothers Julius J. and Philip G. Epstein were initially assigned to write the script. However, the Epsteins left the project after the attack on Pearl Harbor. Howard Koch was assigned to continue writing the screenplay until the Epsteins returned to work on Casablanca. Wallis chose Curtiz to direct the film after his first choice, William Wyler, became unavailable. Filming began on May 25, 1942 and ended on August 3, and was shot entirely in the studio and Van Nuys Airport. 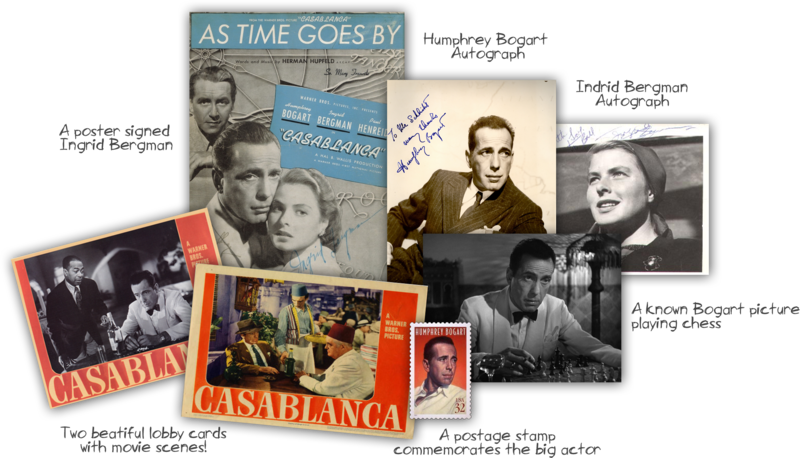 Despite the script writing difficulties, and Bogart attempting his first romantic leading role, Casablanca won three Academy Awards, including Best Picture. Its characters, dialogue, and music have become iconic, and the film has grown to the point that it now consistently ranks near the top of lists of the greatest films of all time. Casablanca had its world premiere on November 26, 1942 in New York City, and was released on January 23, 1943 in the rest of United States.